Television Time is the best TV show tracker for iPhone, and iPad. Easily and effortlessly you can track your favorite TV shows and discover new ones. • Beautiful design, easily navigate between shows and episode and find everything you need to know. Get the latest news by following Television Time on these social media networks. To report a bug, ask a question or make a suggestion, please contact me within the app or via one of the above social media networks. - Added new alternate app icons! - Added more information to notifications. Pull down, force touch, or tap "View" button on a notification to get full episode information and actions. If you enjoy using Television Time, please take a minute to leave a nice review and tell your friends: It really helps. Also, if you have any feature requests or are experiencing any bugs, please do not hesitate to contact me (Twitter: @TelevisionApp, Email: televisiontime@maximilianlitteral.com) and I am more than happy to help. I have this app 3 stars because it’s great but there are two features I would like to see implemented in the future. The ability to access episodes from the main show page, from a user experience view, I don’t know why this wasn’t one of the first things added to a shows page, you have to add the show and then go back to your main dashboard to find the show you added in order to add episodes. The second feature is like to see is a better rating system, similar to letterboxd. It could be where you rate each episode and then there is an average score for the show based off your episode reviews or you could just choose to rate the show overall. Either way I’d like to see a more rating system where I could then see my shows ranked by rating. The first feature you've requested is a little hard because of the limited room. Since you'd need to navigate to a new menu, a "view episodes" button would have to be at the top but that is where the track show button is, and theres not a lot of room. It is something I think about design wise though, as soon as I think of a good interaction of getting from show information to episode list, I will add this. But, you can actually get to the episode list a easier way. In the Settings tab, go to "spotlight and search", and tap on "Open list of episodes", now from Search, any show you are tracking already will open the list of episodes. If you are adding a new show, you can just tap on the back button, and then tap on the show again. As of the rating system, I will think about that. I might integrate more Trakt ratings for users with Trakt accounts, unsure about having it as a local feature of the app though. As the title says, I'm coming from Serist, which is a very similar in certain aspects. I'll try not to compare but here are a few things I noticed. Hi there, Thank you for the feedback. I'm working on a update currently fixing and improving some of the things you've mentioned here, and I'll look into things you've mentioned that I haven't updated yet like notifications before the next update. As for showing streaming dates, the database I get info from doesn't collect that and the only API I was able to find for that data is extremely expensive unfortunately. I have literally purchased over 20 tv show / movie tracking apps and have put a lot of time in each one. Most of them simply over complicate the app and limit the primary function of the app itself, which is to track tv shows and movies. This app is dependable, consistent, beautifully designed and maintained by a truly committed developer. I will continue to post updates as the weeks pass by. I would love to see the developer incorporate movie tracking into this app but not at the expense of altering its current functionality. I'm glad you are enjoying the app! 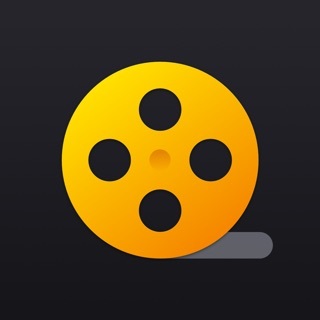 I am currently working on a separate app for Movie Tracking to provide the best experience specifically to movies, and keep Television Time great and focused on TV data. I'm hoping to release later this Summer.